The size of the chicken coop should be based on the feeding method and density. The span of the house should not be too large, open chicken coop within 9.5 meters, natural ventilation can achieve good results. Simple chicken coop span of about 6 meters, height (house lift to the ground) at 2.4 meters below. Chickens are warm-blooded animals that regulate their own body temperature when the ambient temperature is 7-30 ° C. When the ambient temperature is above 30 ° C or below 7 ° C, the body temperature can not be adjusted by itself. Therefore, the chicken coop should be warm in summer and cool in summer, no matter what kind of chicken coop should be insulated, good insulation properties of the roof and walls, especially the roof. 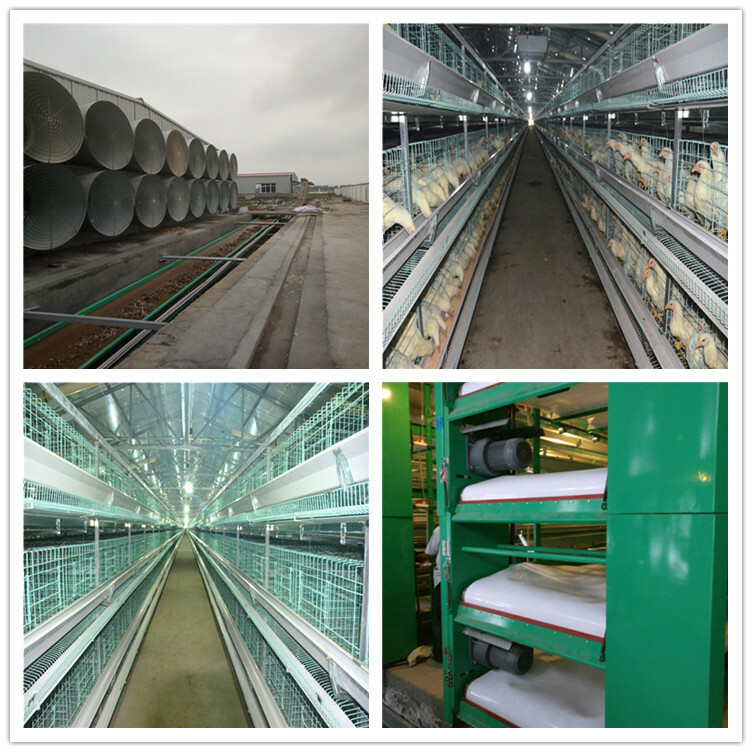 House insulation, insulation performance is good or bad, will have a long-term impact on flock production. It must be ensured that the house has a suitable light and a good air environment. After all the flocks are turned out, they can be thoroughly washed and disinfected. Laying equipment Chicken coop roofs or walls, requiring no gaps and loopholes, the ground and cement dado to be firm, all the mouths, holes are fitted with a solid metal mesh, to prevent wild birds, rats flying or tunneling. General single door 2 meters high, 1 meter wide, 2.1 meters high and 2.1 meters wide, 1.6 meters wide (2 meters x 0.8 meters), the window should take into account ventilation and lighting coefficient (the ratio of windows and ground area), the general lighting Coefficient of 0.1 a 0.07, the cold area can be lower, about 0.04. Aisle width must take into account the pedestrian and ease of operation. 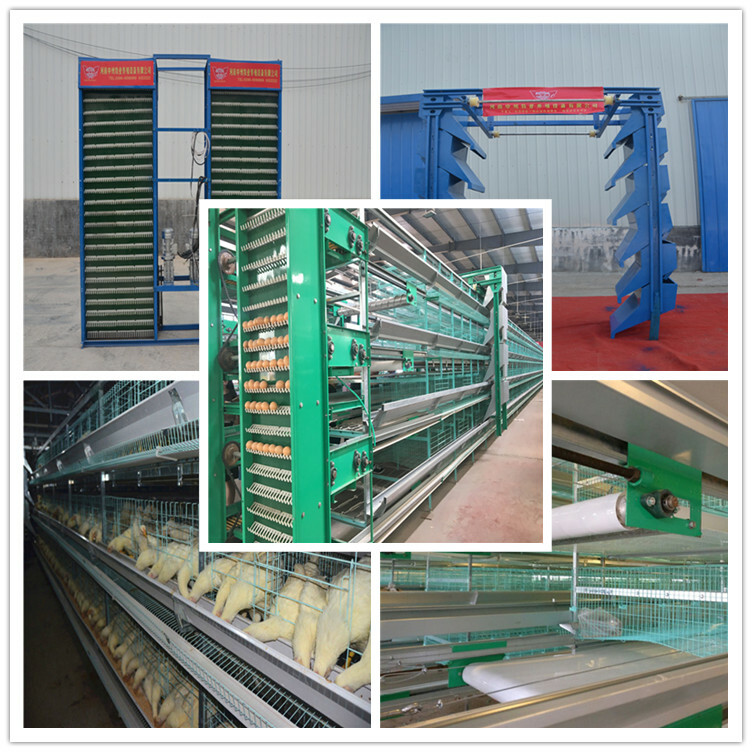 Small span of the flat chicken coop design on the north side of the road, about 1.2 meters wide, spanning more than 9 meters of chicken coop, located in the middle aisle, about 1.5 meters wide. Cage chicken aisle wide enough not less than 1 meter is appropriate. In short, doors and aisles are constructed to be easy to work, transport, and cold-proof. Floor should be watered with cement and sewer for flushing and disinfection. Moisture barriers (linoleum or plastic film) should be laid under the ground in areas with high or wet groundwater levels. Open henhouse equipment Chicken coop, should be equipped with playgrounds, generally as long as the house, the width of about 2 times the span of the house. The playground is set to the south, the ground is flat and slightly sloped to facilitate drainage and the playground should have fences or fences.